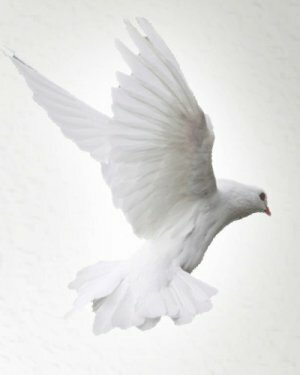 Obituary for Michael Ralph Markle | Kenworthy Funeral Home, Inc.
Michael Ralph Markle, 64, of Hanover, PA, entered God’s eternal care, Saturday, January 26, 2019 at the Dove House, Westminster, MD. Born August 16, 1954 in Hanover, PA, he was the son of the late Burdette C. and Audrey G. (Markle) Markle. Michael was the loving husband of Ardella Mae (Rinehart) Markle with whom he shared 39 years of marriage. Michael was a 1973 graduate of Hanover High School. He worked as a job foreman and supervisor for James Contracting a residential construction firm in Reisterstown, MD. He was a life member of the Eagle Fire Company #2 in Hanover. Michael was an avid NASCAR fan, enjoyed watching the Baltimore Orioles and Baltimore Ravens, and in his younger years hunted deer, goose, and pheasant. In addition to his loving wife, Ardella, Michael is survived by his sons, Jason M. Markle of Hanover, PA, Christopher A. Markle of Lenoir, NC, his faithful companion and dog Buddy, one brother, Joseph Markle and wife Carolyn of Hanover, PA, and one sister, Debra Hahn of Hanover, PA. He was preceded in death by one still born daughter. Services will be private and at the convenience of the family. Burial will be in Rest Haven Cemetery, Hanover, PA. In lieu of flowers, contributions in Michael’s memory may be made to the Adams County SPCA, 11 Goldenville Road, Gettysburg, PA 17325.